It's the wonderful teacher's day tomorrow! I left the DIY gift ideas fully in Jazz's hands. Her teachers after all. 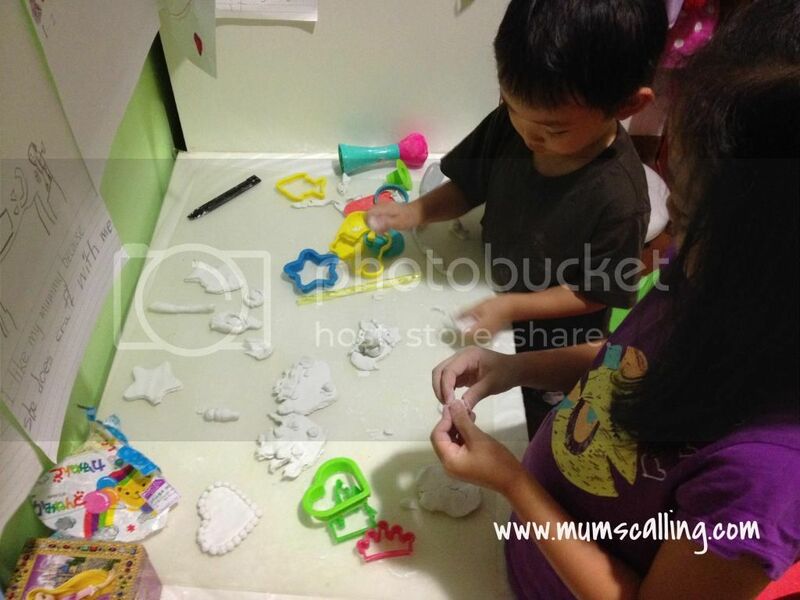 I merely bought packs of clay and hinted she could mould something out for her teachers. There were many stuff she made out of them, and was indecisive about which to give, even till this very morning. It's been a crazy week for me, I somehow got my days mixed up. Or rather, days of the week make no difference to a stay home mum. Sigh! So then, I thought she had another day to get her clay painted for gift. But what! My darling daughter told me this morning, "No Mummy, I'm bringing the gift today, it's today. There's no school tomorrow, remember?" Oh well, my days and memory were never in order since Motherhood came. I panicked and out of the leftover morning time we had before school begins, she chose what she wanted to give and we hurriedly painted it. 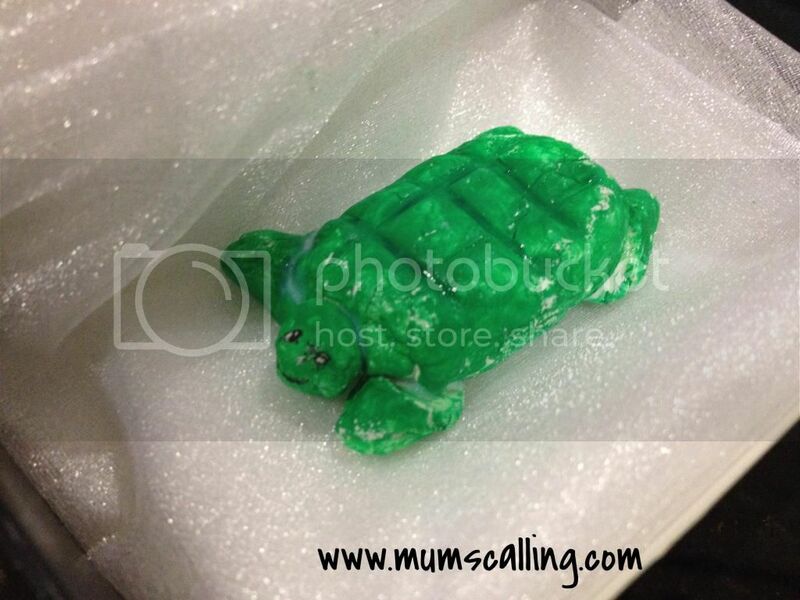 She picked a turtle figurine, which was moulded by me! I think she decided to keep the rest for herself. I was in deep deep confusion. I never knew the 4 teenage Mutant Ninja turtles became 3. Mummy: What? What do you mean? The movie? Jazz: No. It's the terrapin in our class. His name is Michelangelo. He died and my teacher buried him. I concealed my chuckle with this piece of news. So well, that was why I knew she decided to go for a turtle to replace the loss of the once alive. She said it will make her teacher happy! Ahh, sounds like the perfect gift now. After having it painted green, with not much time left, I decided to quick dry it on my palm in front of our strong blowing fan. Against my better judgement, the turtle 'swam' out of my palm, and its flippers came apart! We almost cried, but knew it was no spilt milk. We mended it with some craft glue. With great mighty attempts, I tried to piece them to look almost flawless. Clearly, we knew it wasn't as perfect anymore. At least, she had something to present to her teacher. I prefer to focus on the thought that counts. 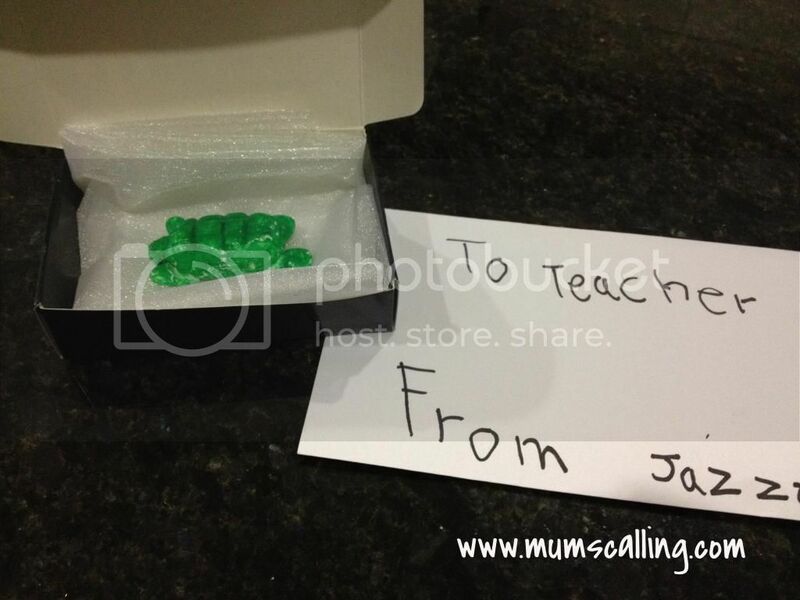 Earlier this week, she also drew something for her teacher, which was sealed into an envelop. All too swift for me to picture for keepsake. It was sure an adventurous morning and memorable teacher's day gift for us to record. Big blunder on my mixed up days, or maybe, I should have prompted her to start the project earlier. Nonetheless, I thought it was a good save. To all teachers and parents, the first teachers of our littlest, Happy Teacher's Day!